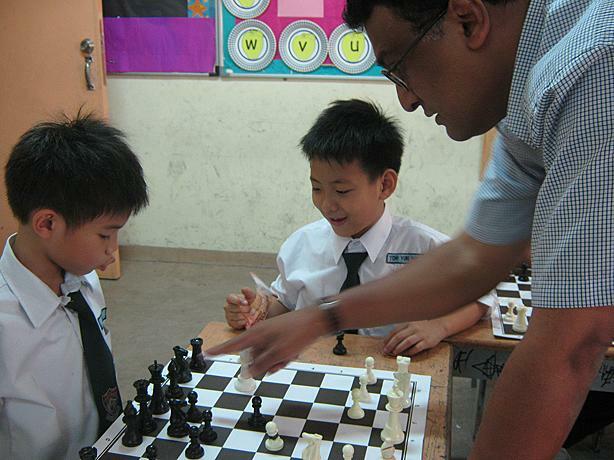 There are weekly sessions in Cheras every Sunday from 3.15 to 5 pm. 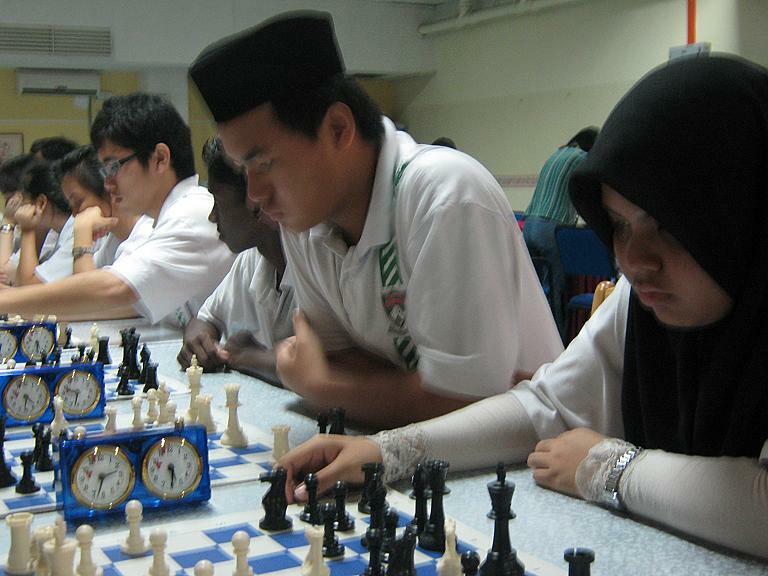 For more details, please contact me (Collin ) at 016-2123578, OR email me at geodat@yahoo.com. 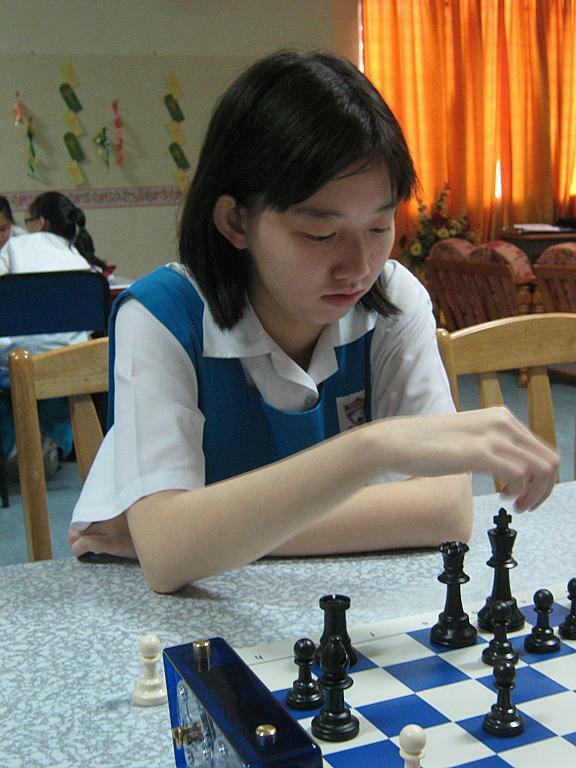 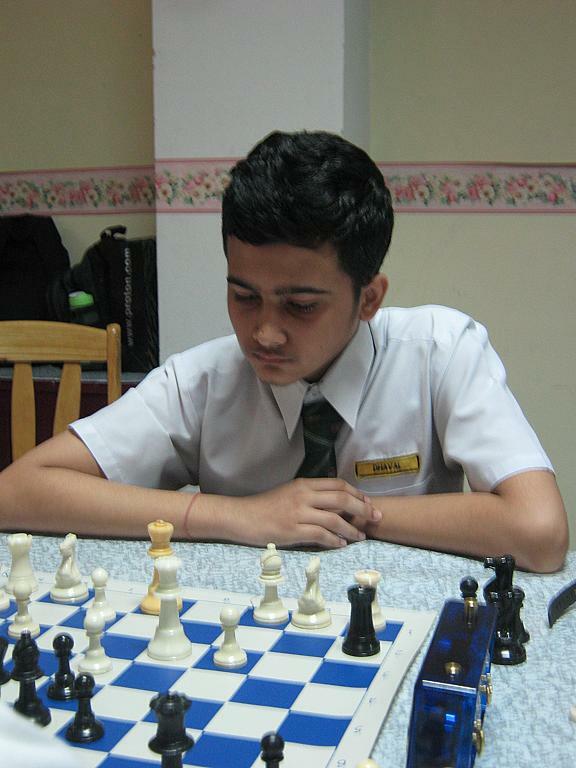 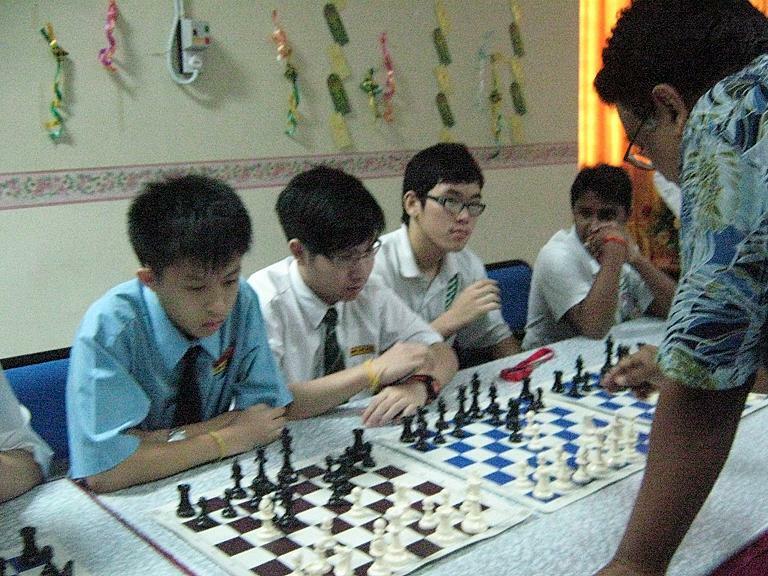 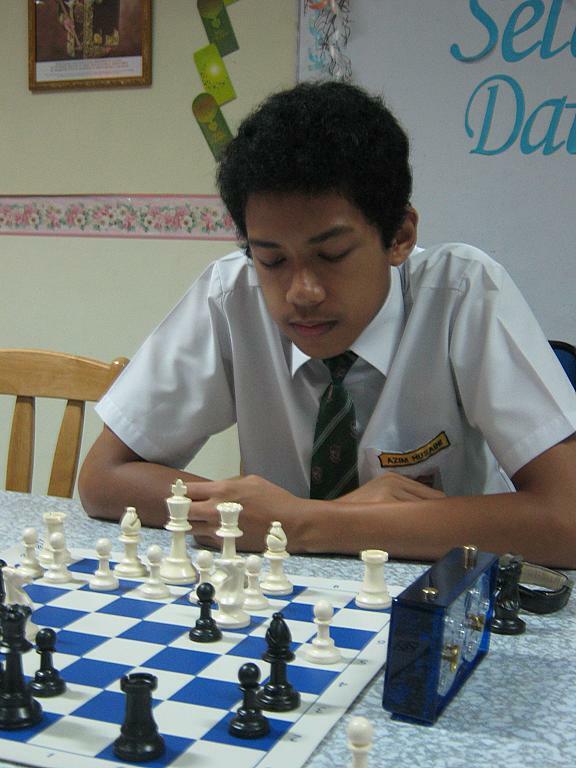 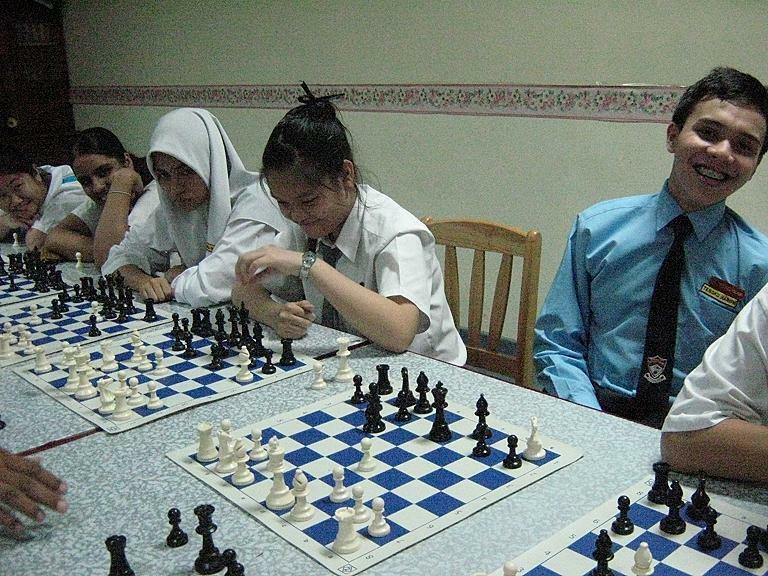 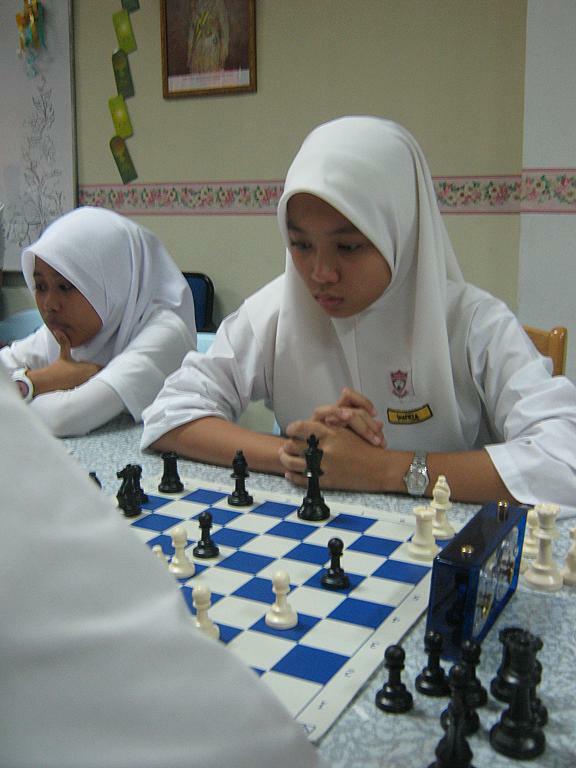 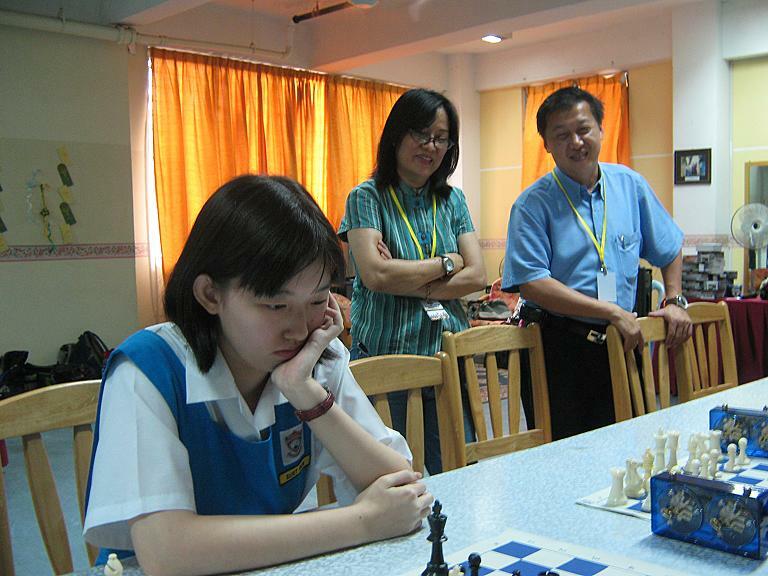 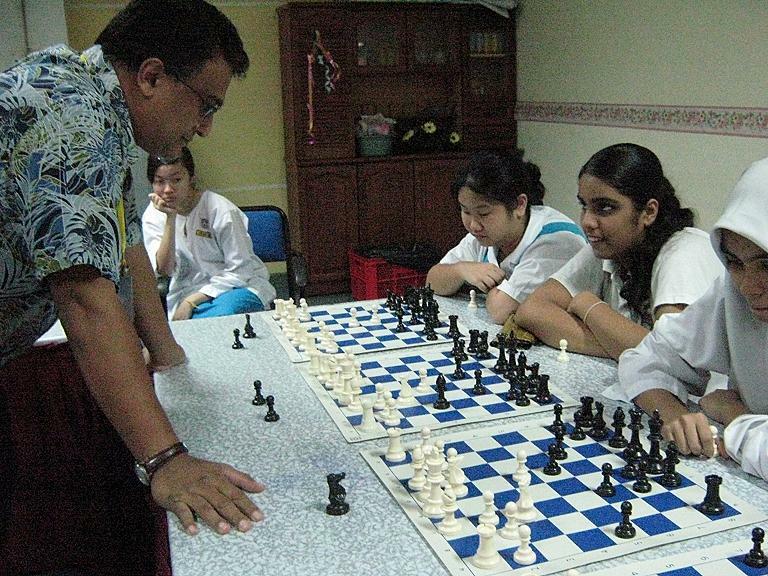 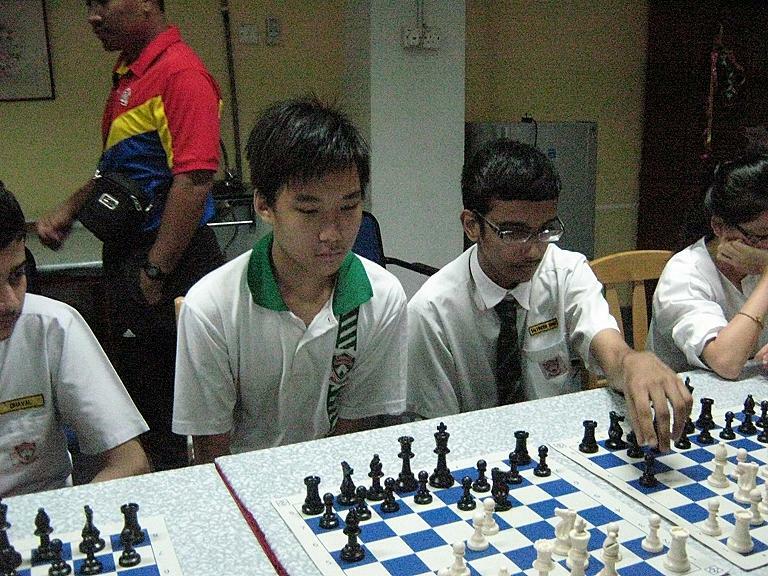 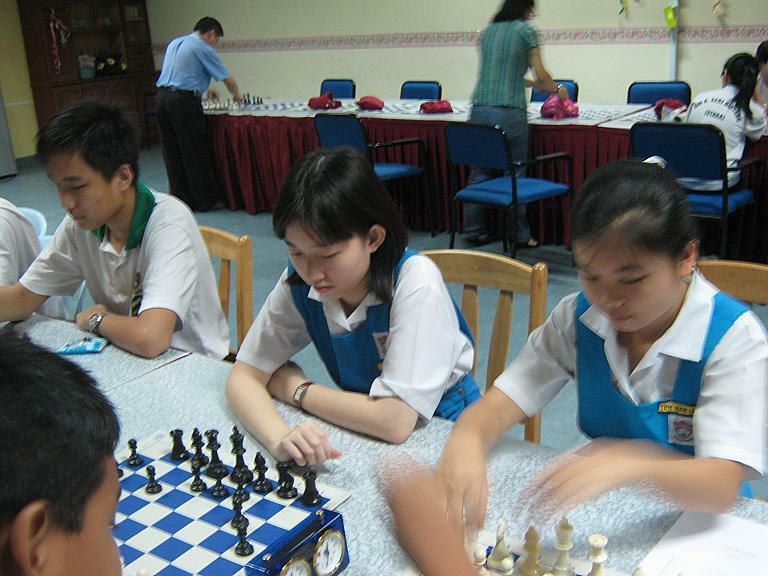 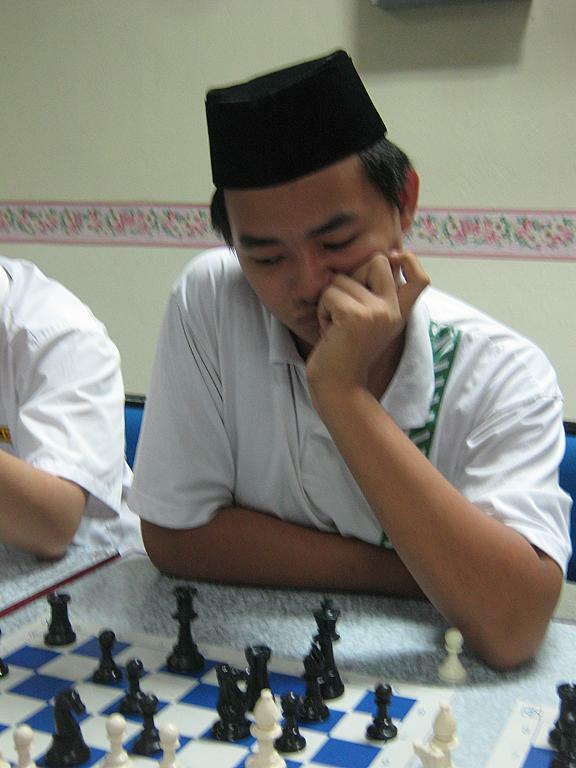 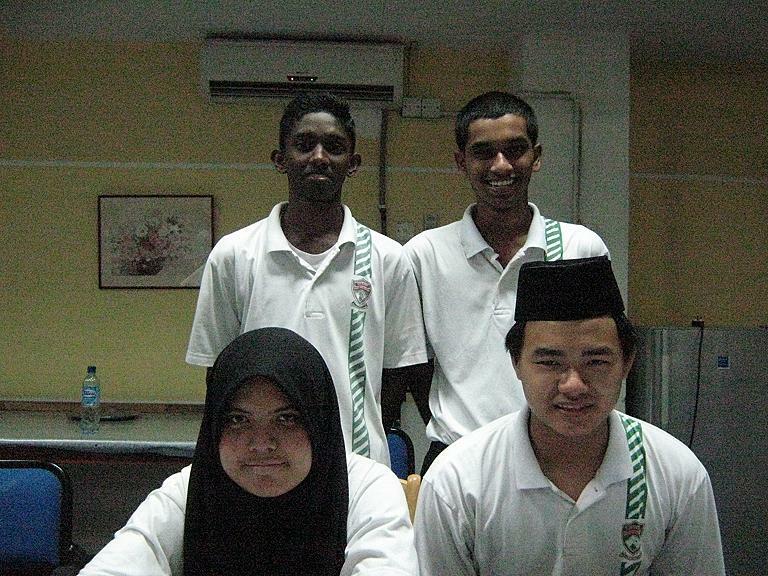 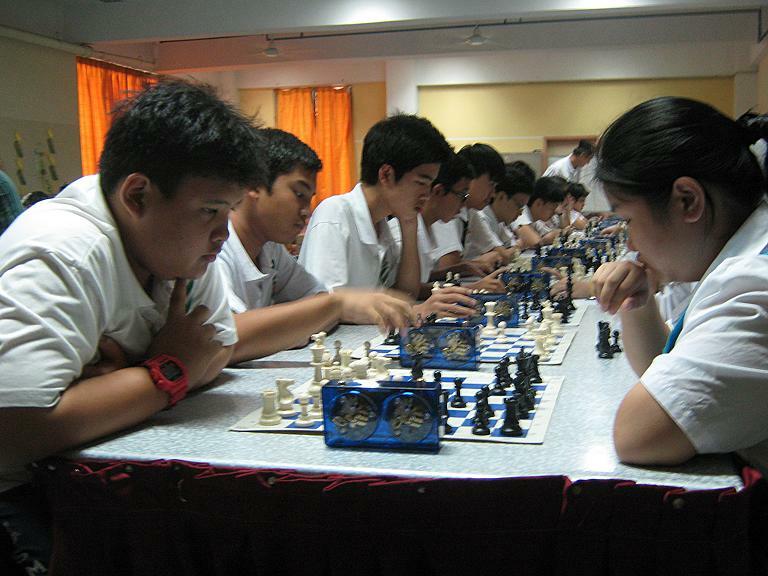 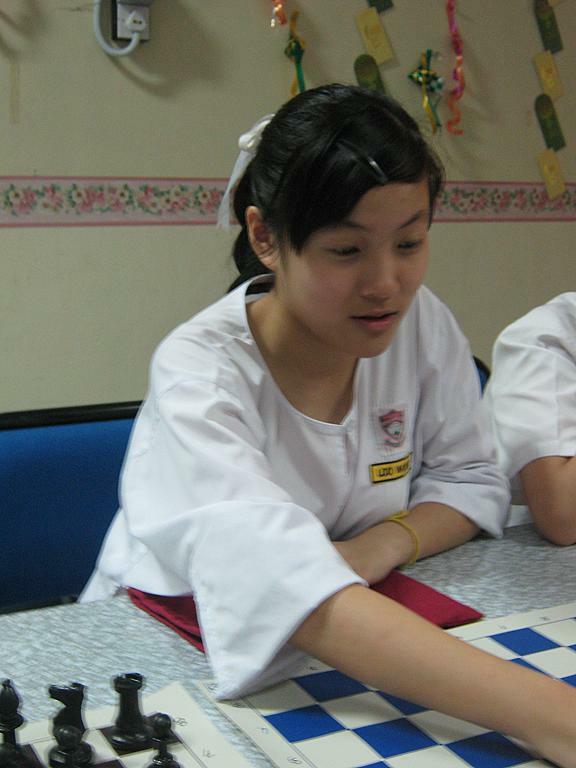 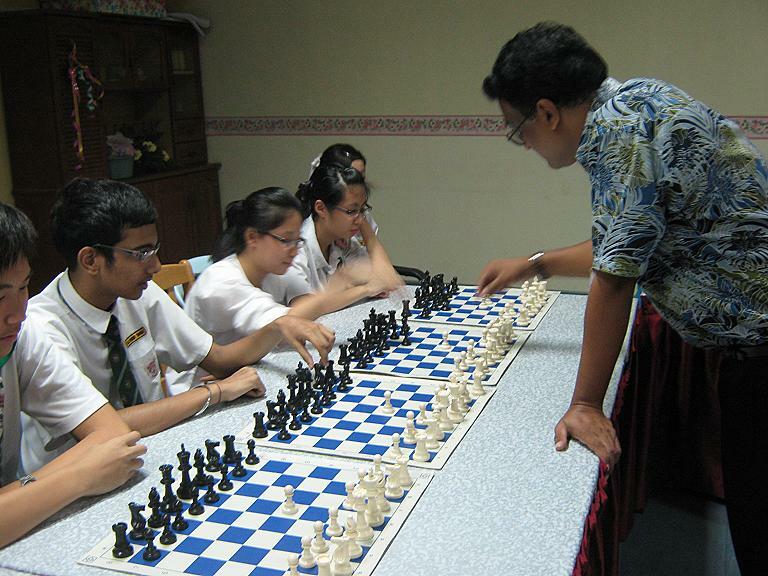 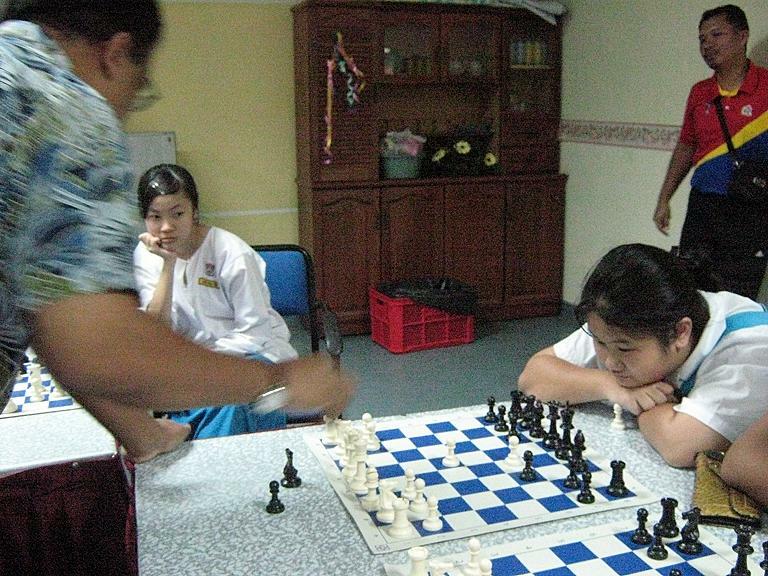 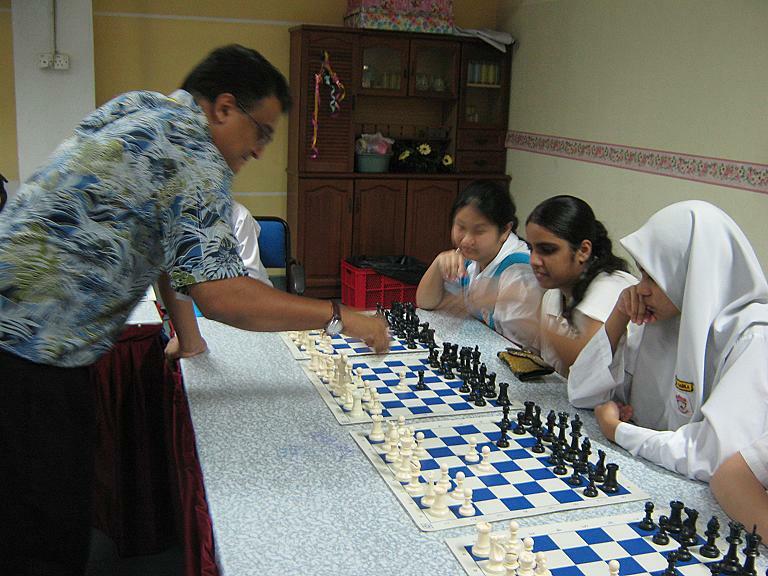 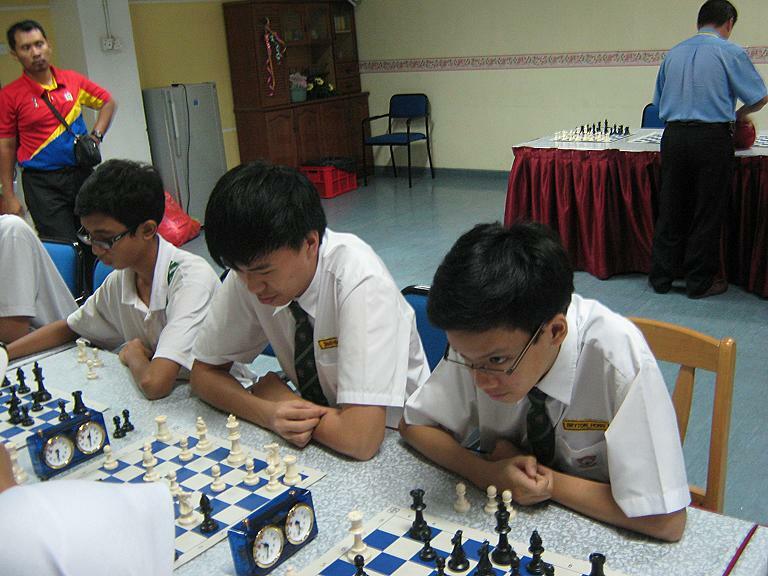 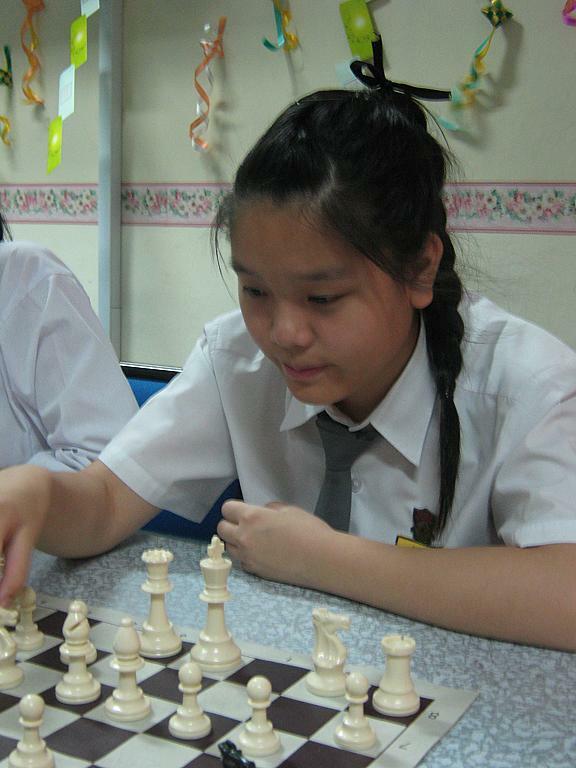 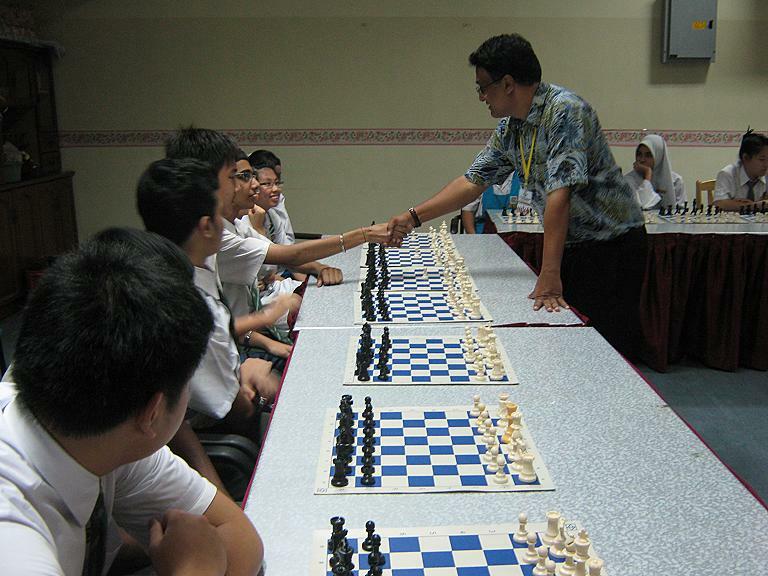 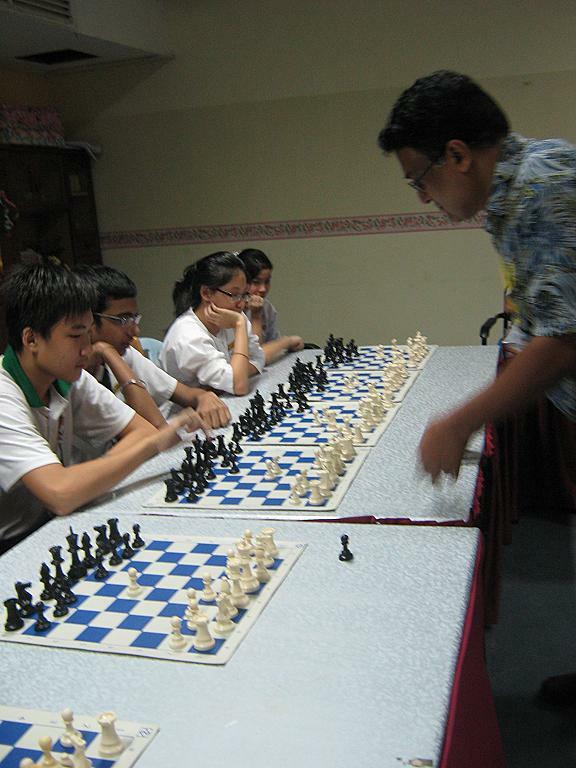 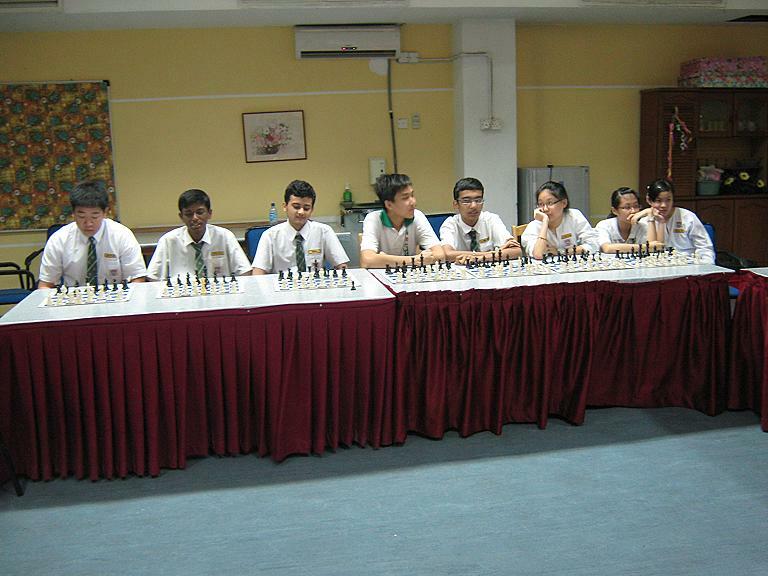 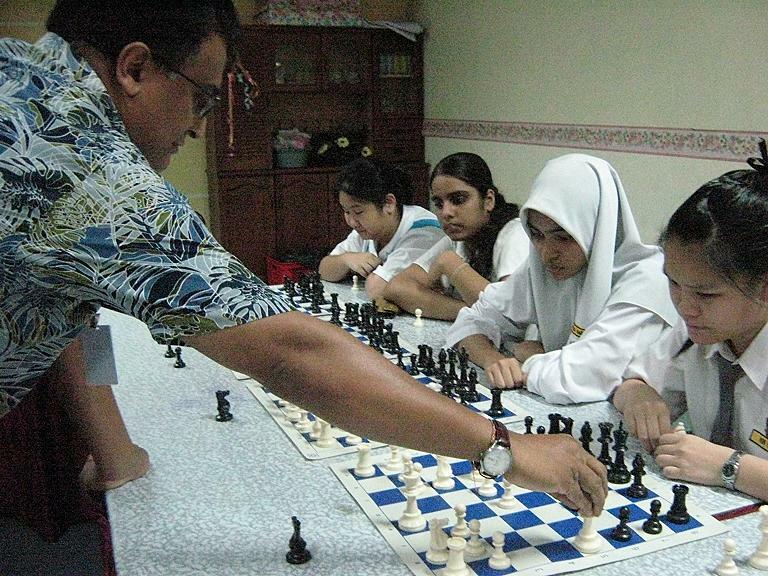 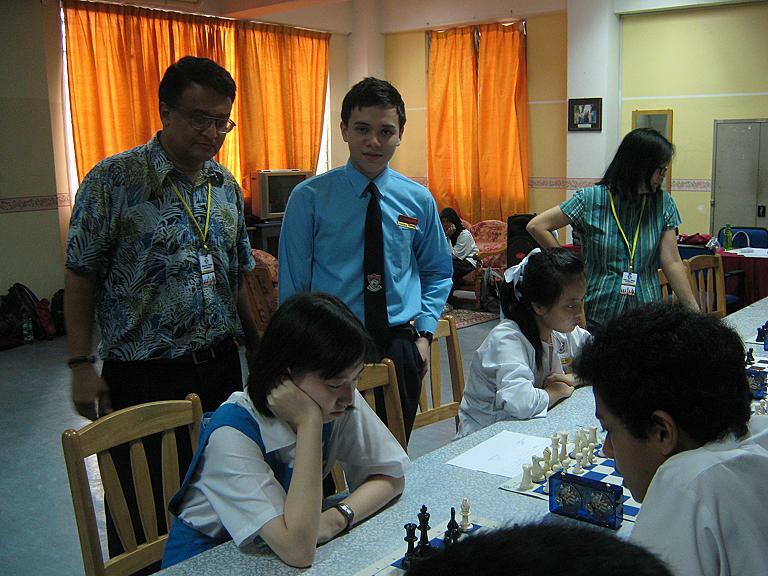 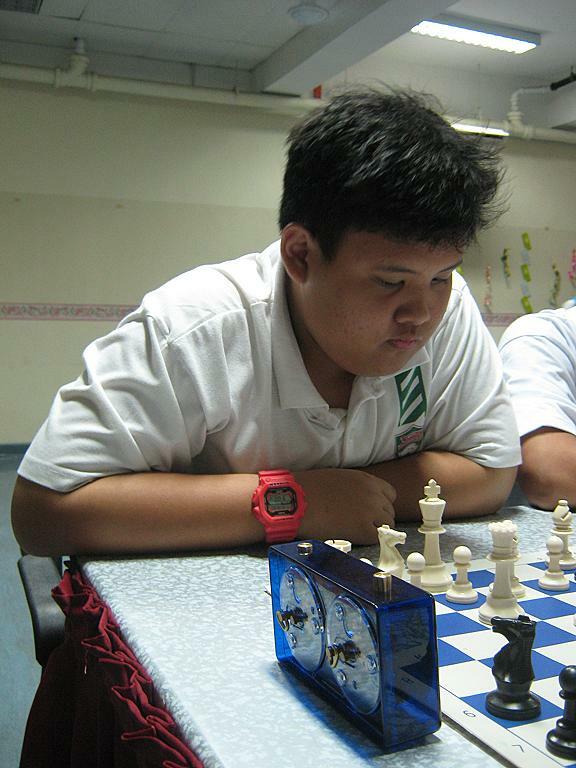 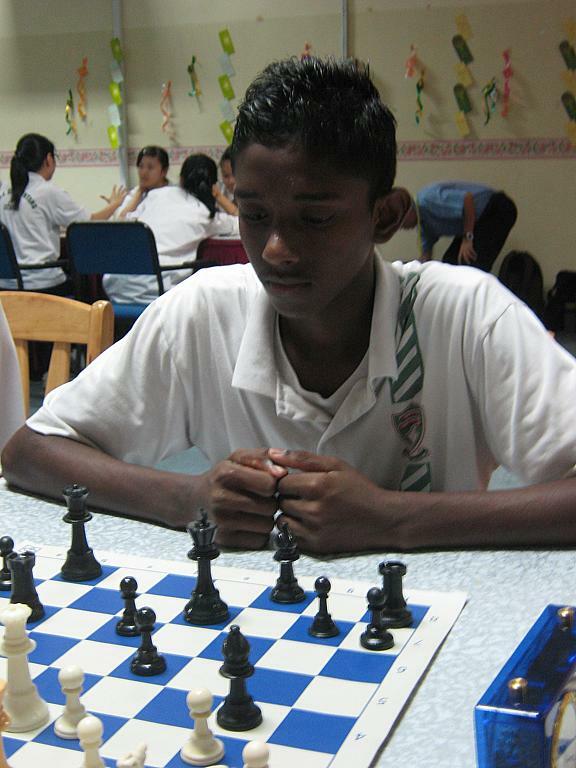 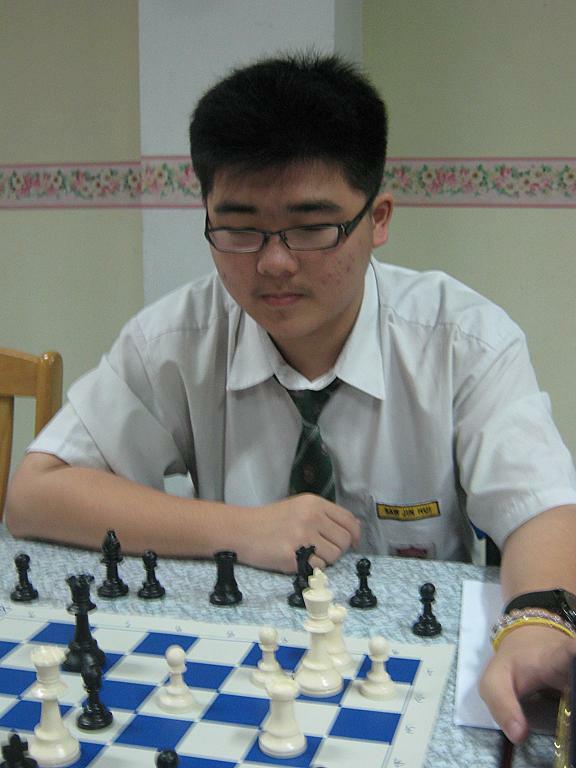 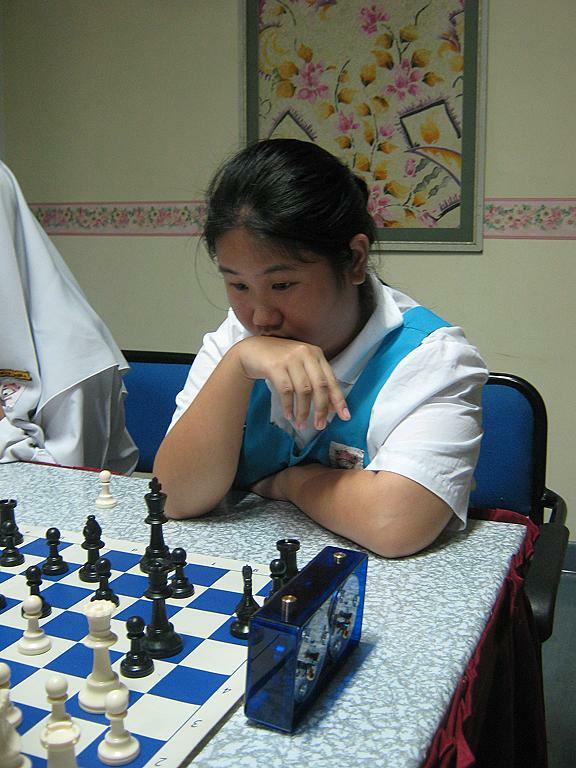 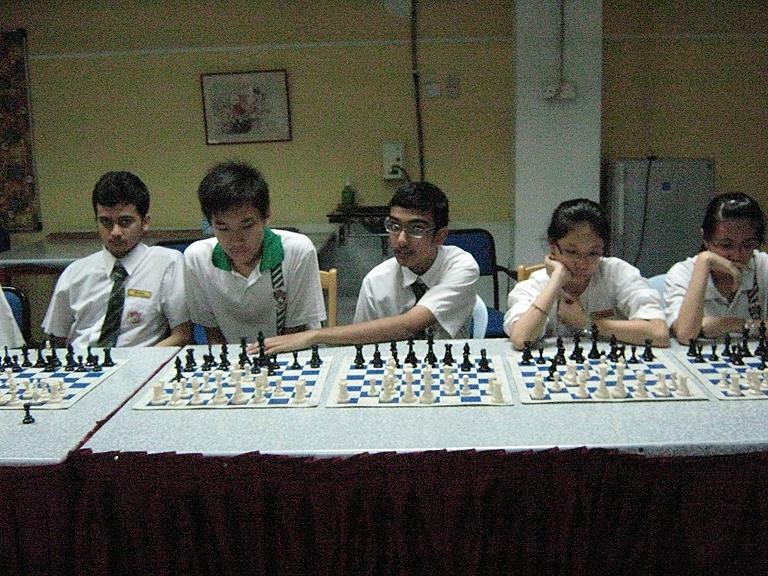 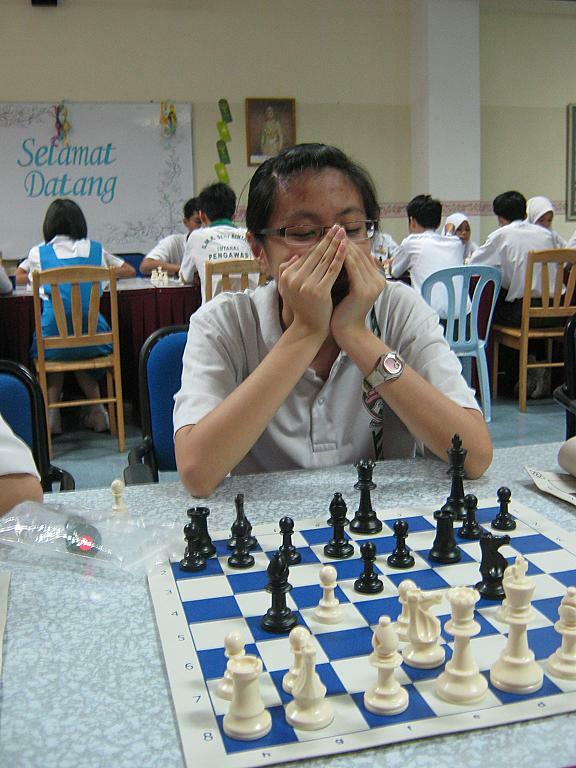 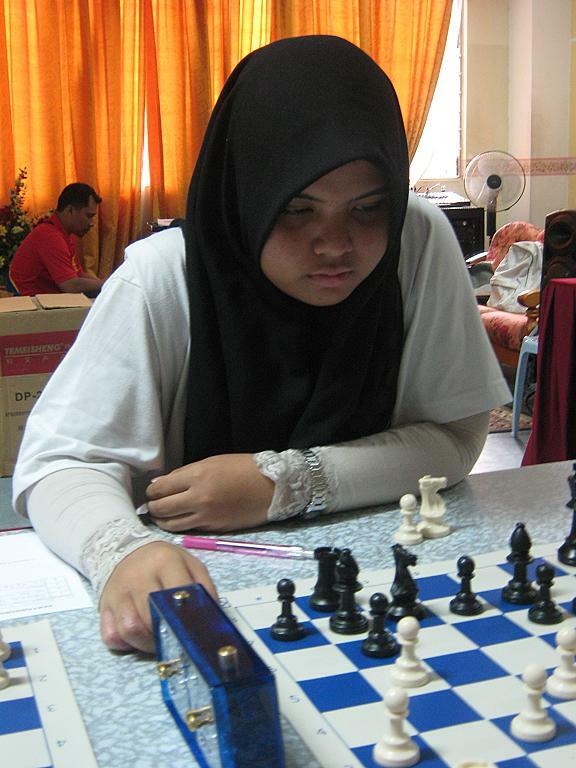 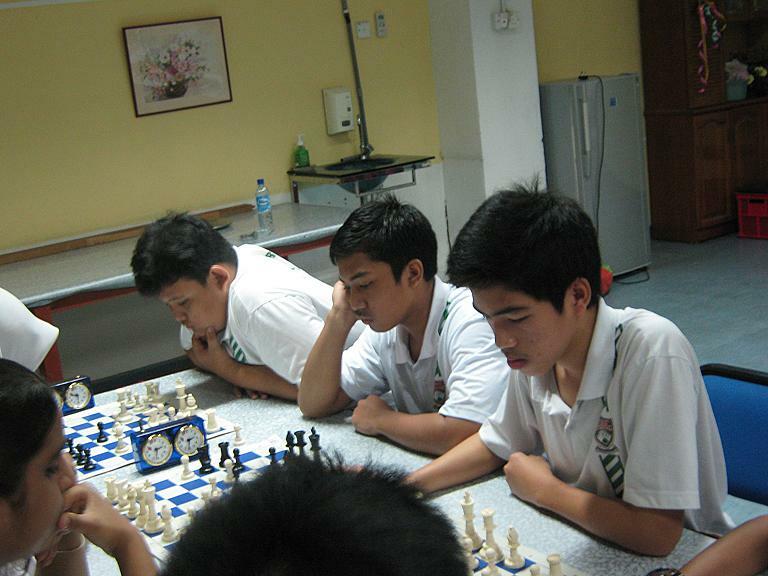 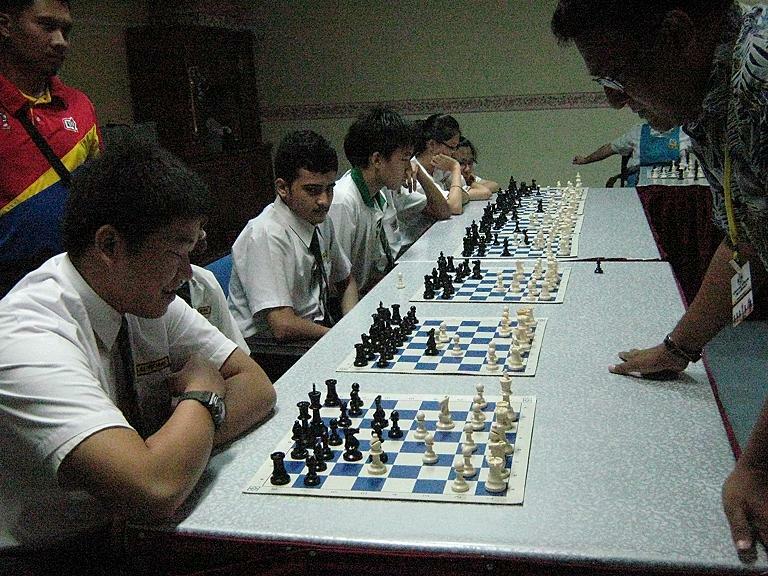 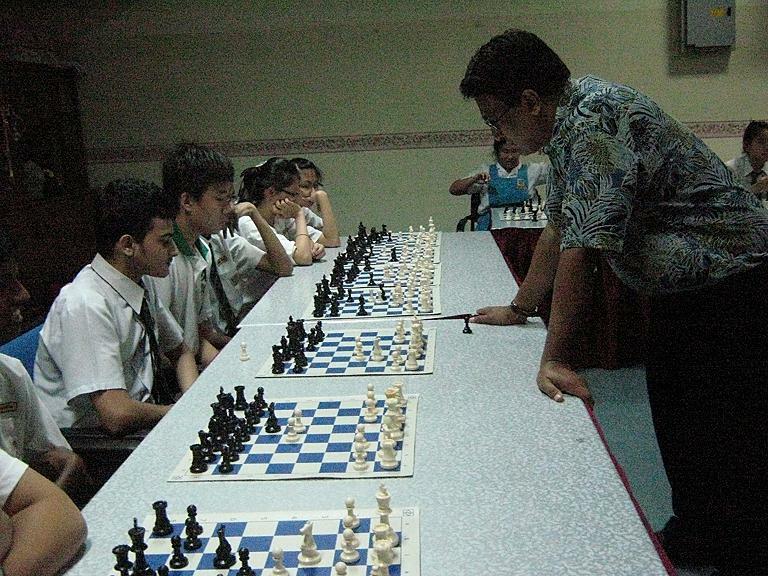 19 students from SMK Seri Bintang Utara played in a Simultaneous Chess match on Thursday the 20th of October 2011. 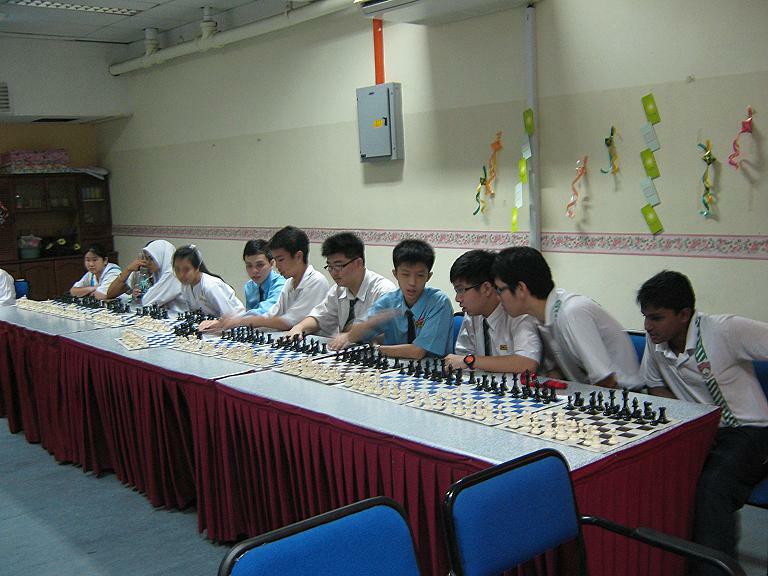 The match was played at the school and lasted for about an hour. 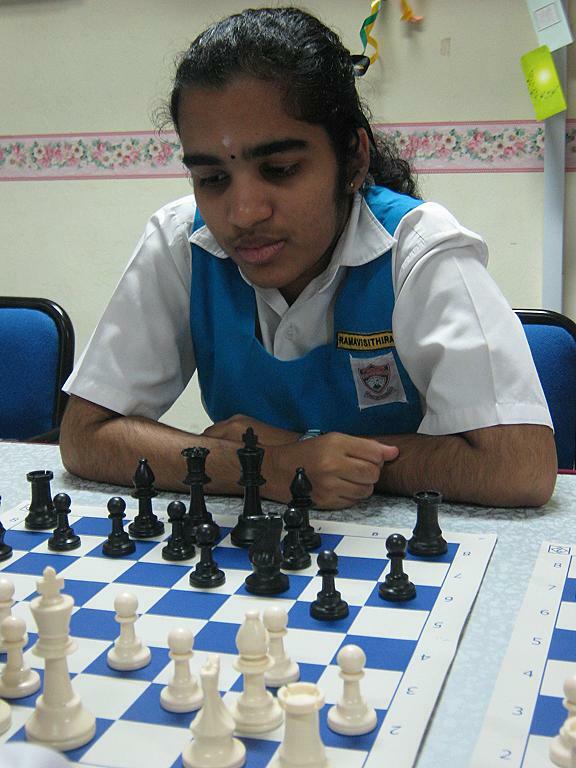 The final score was 18.5 to 0.5 in favour of CM Collin Madhavan. 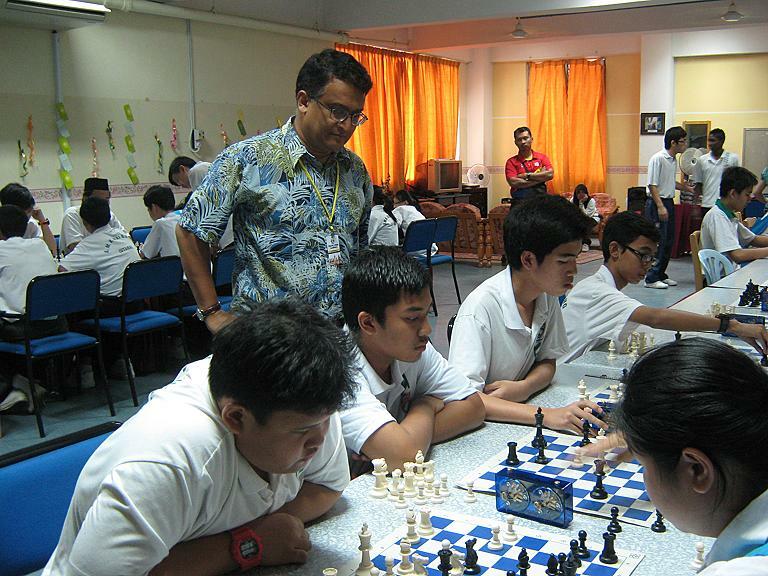 Played over two days, 14 Form 3 teams from SMK Seri Bintang Utara Kuala Lumpur battled for top honours. 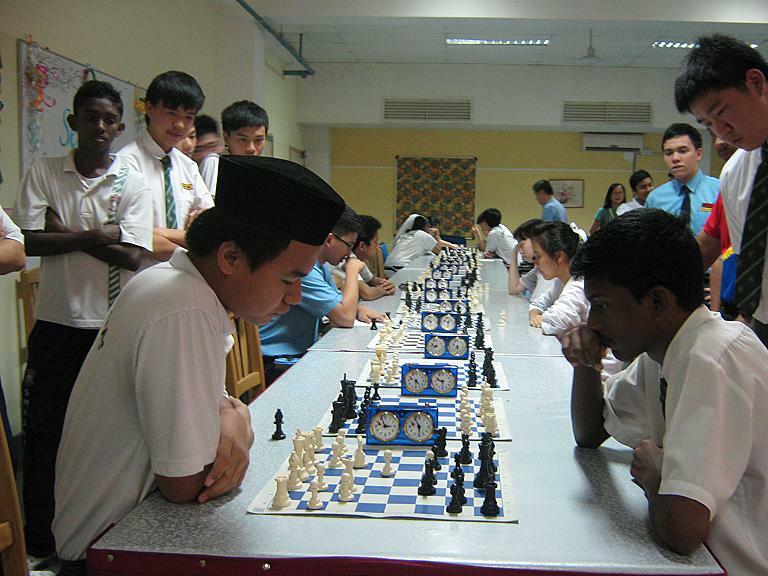 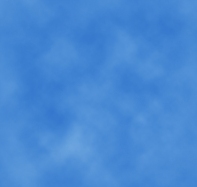 The second stage of competition was based on the knock-out format. 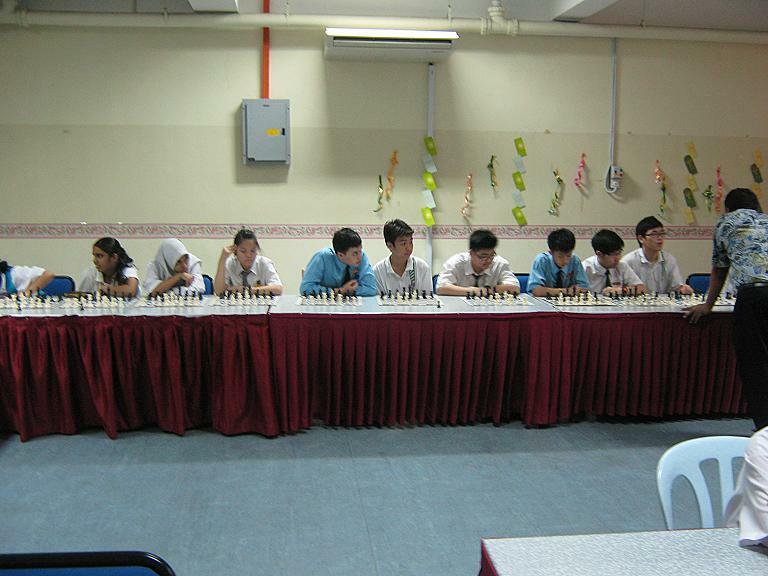 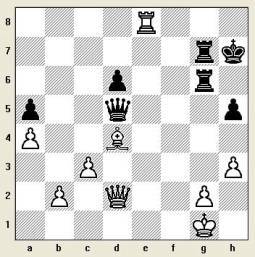 At this stage of the Chess contest, many matches were close and had to be decided by Armageddon play-offs. 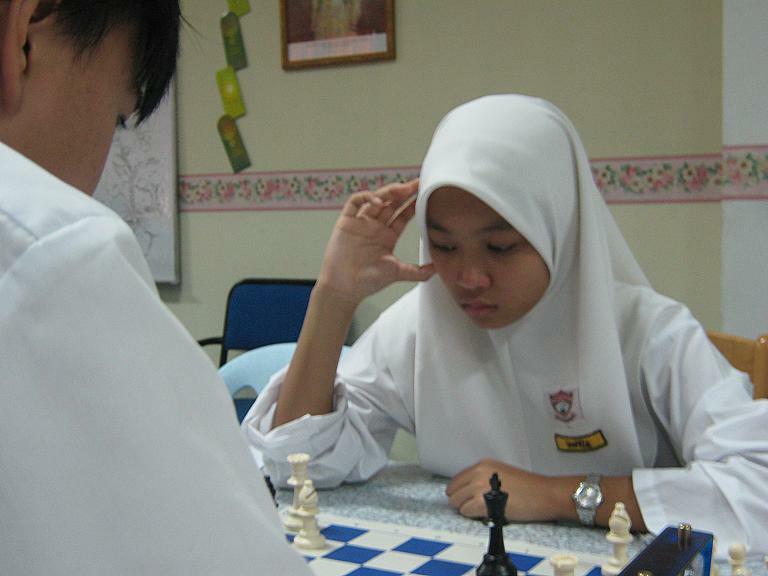 In the end, it was Gigih 1 who emerged Champions in the knock-out phase of the competition. 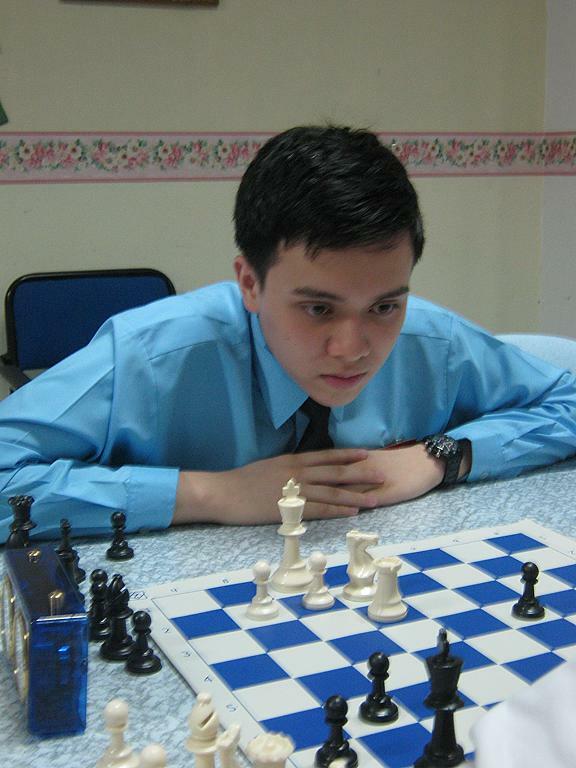 Alberto Muniz from Spain won the Open with a perfect score of 7 points. 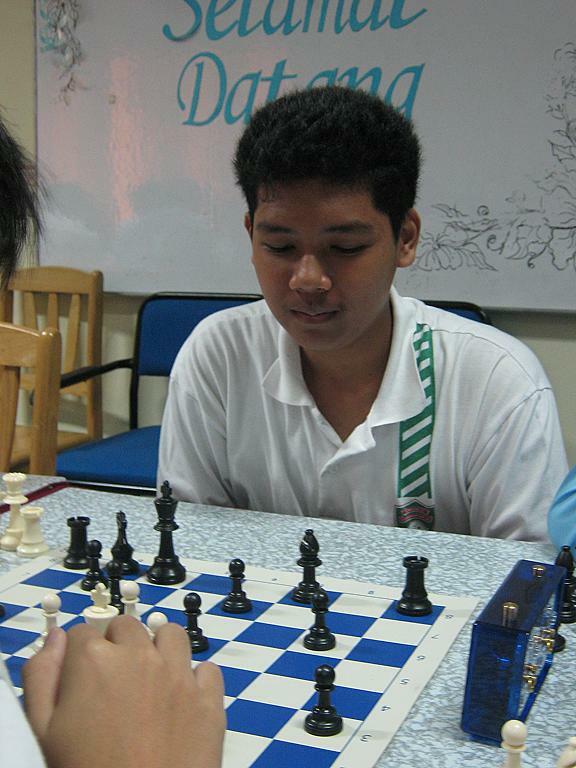 What was more impressive was the fact that Alberto won the event 2 points ahead of his nearest rival. 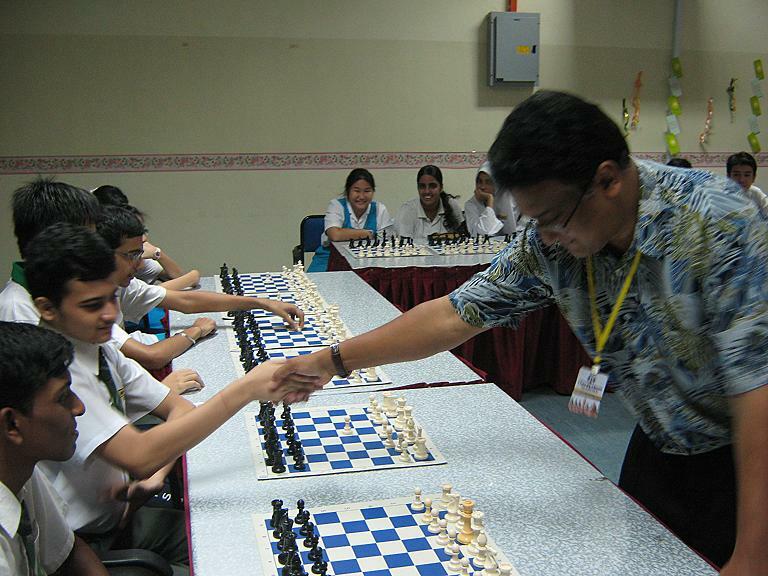 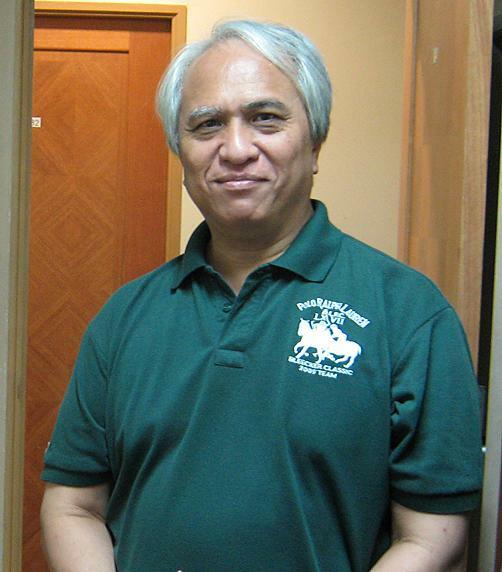 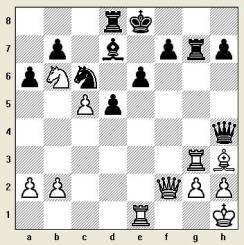 Thirty-six players from 8 countries participated in this 5-day international chess event. 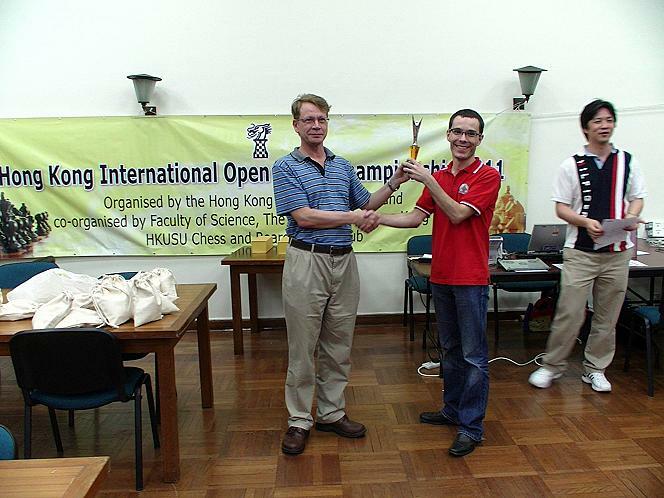 Alberto Muniz winner of the Hong Kong Open 2011. 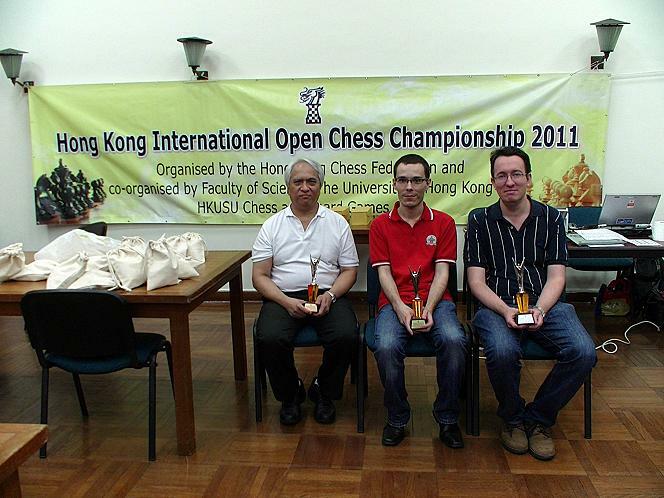 The top 3 winners of the Hong Kong Open 2011. 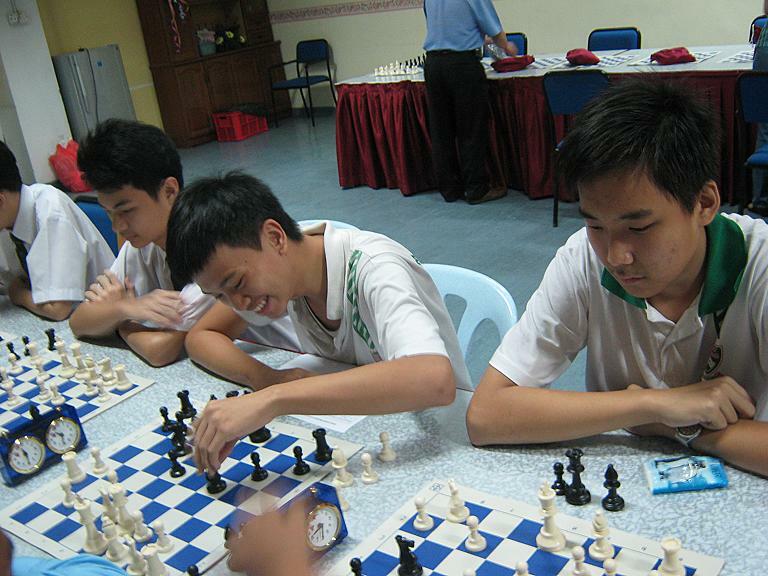 Left to right: KK Chan, Alberto Muniz and Daniel Dwyer. 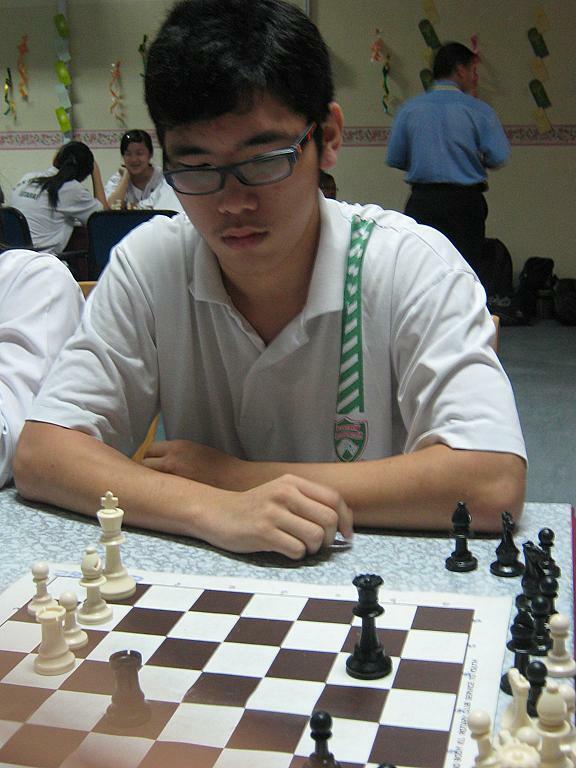 KK Chan, Organiser, Arbiter and player, emerged 3rd in the Open. 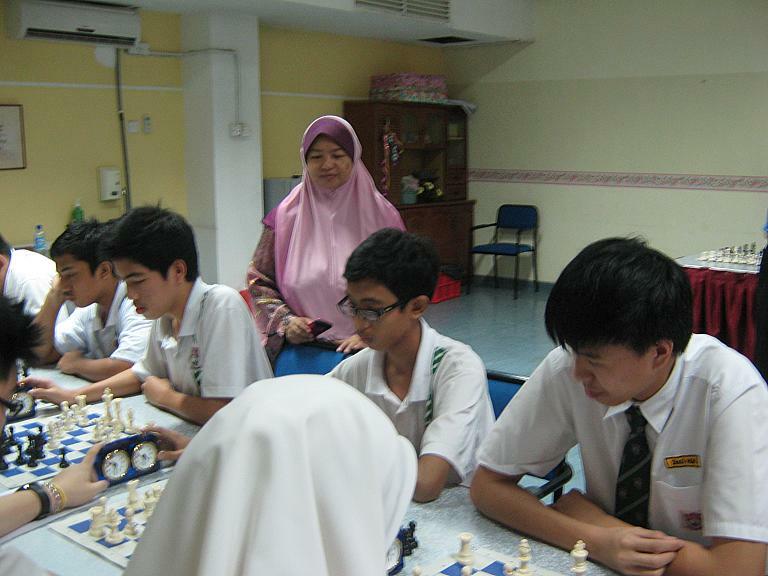 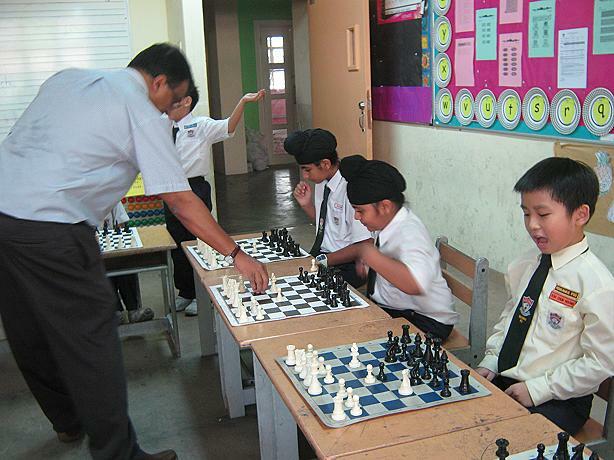 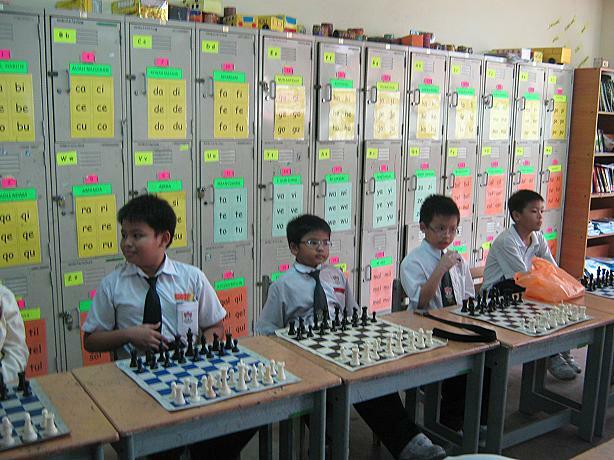 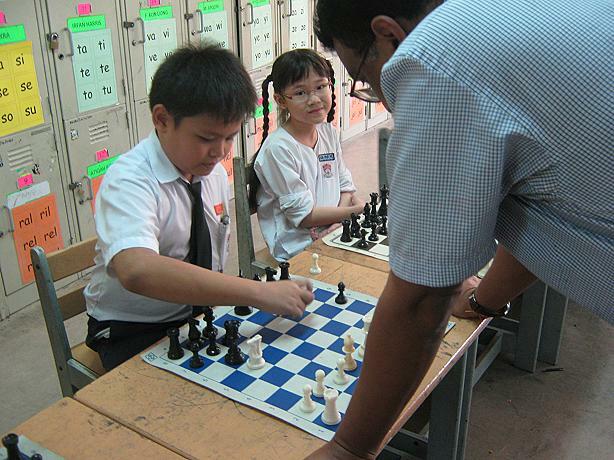 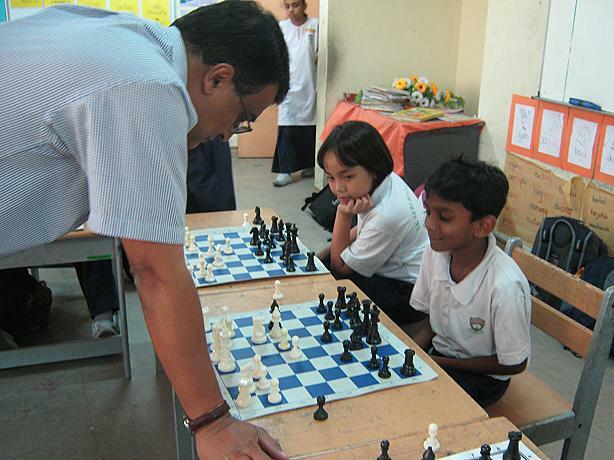 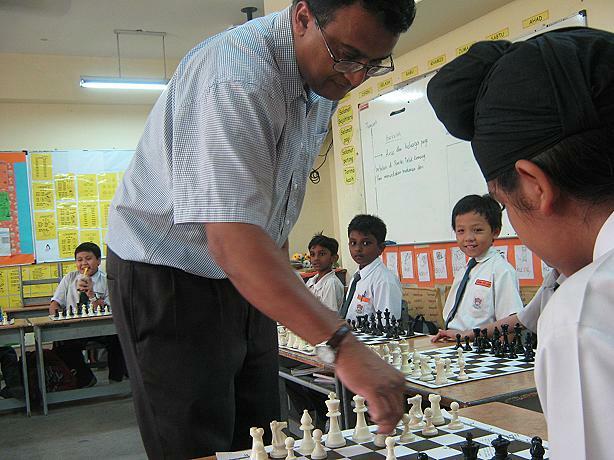 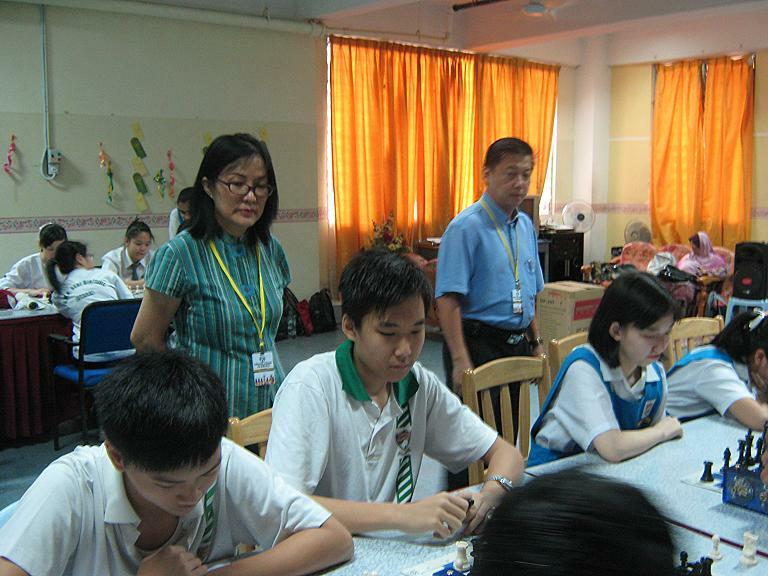 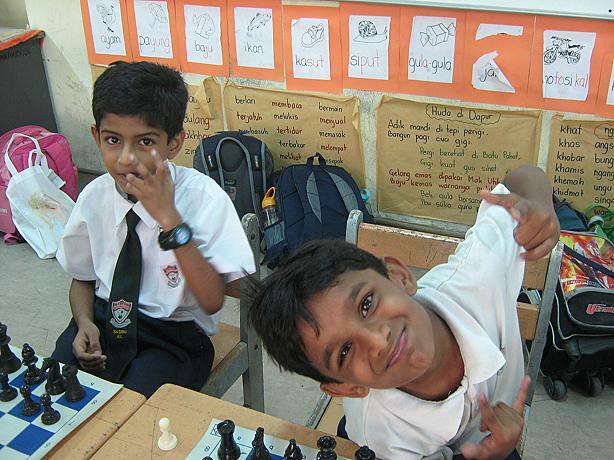 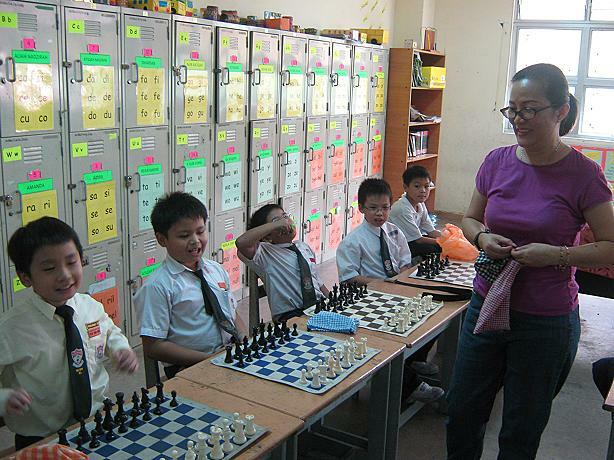 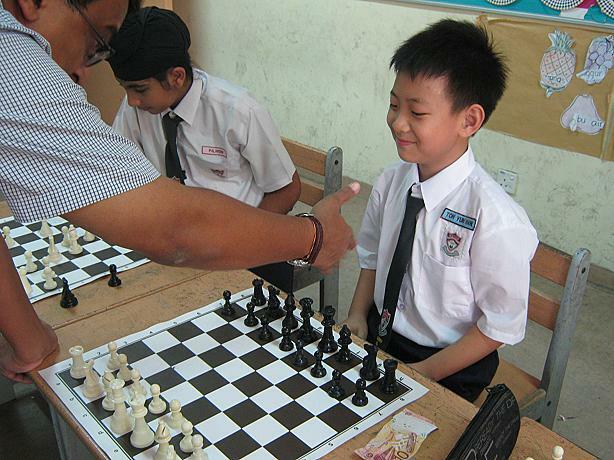 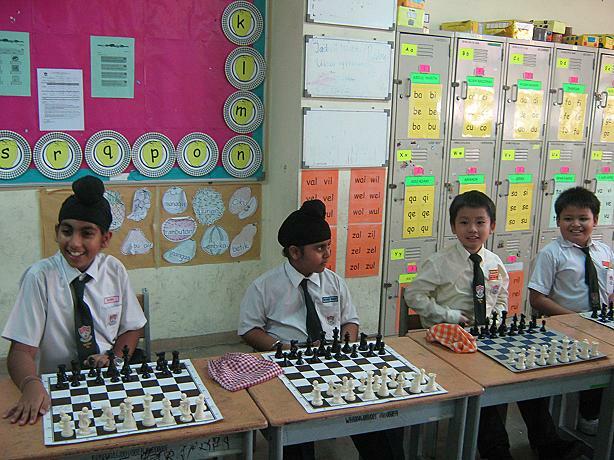 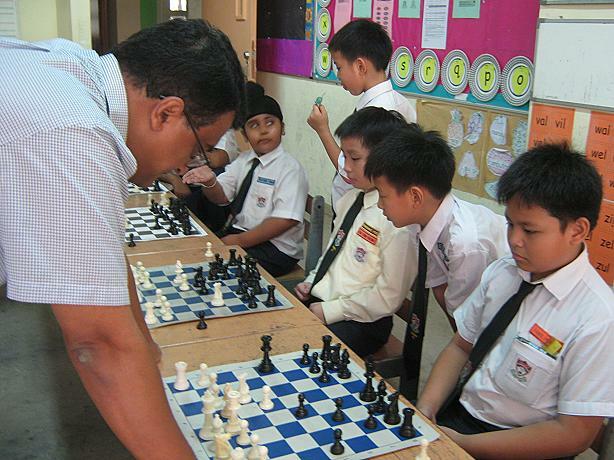 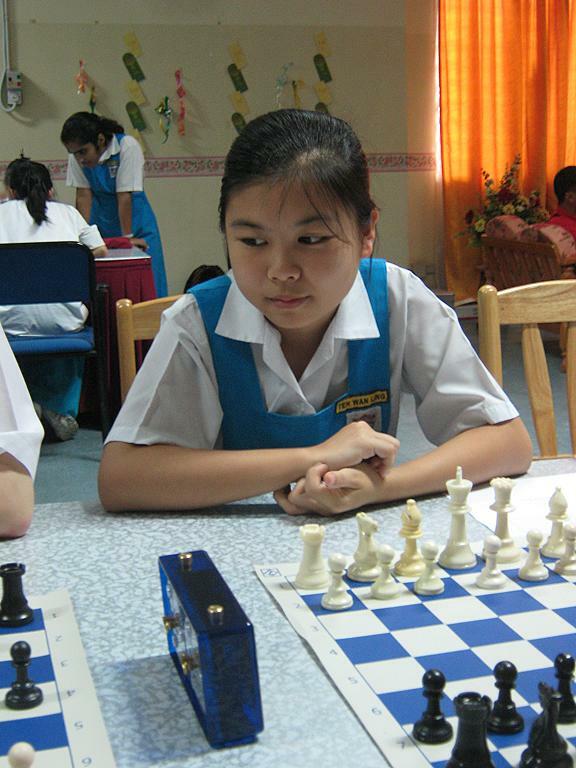 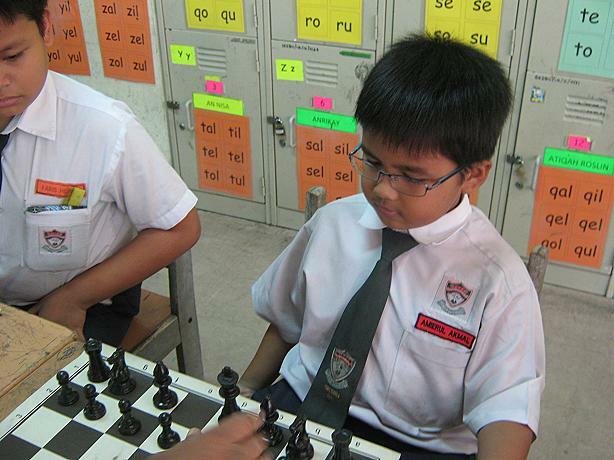 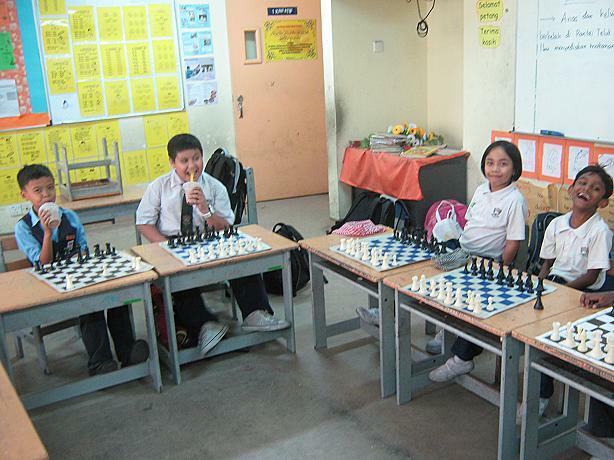 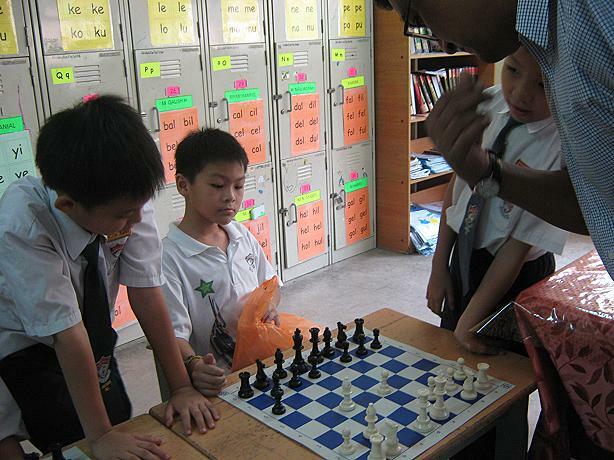 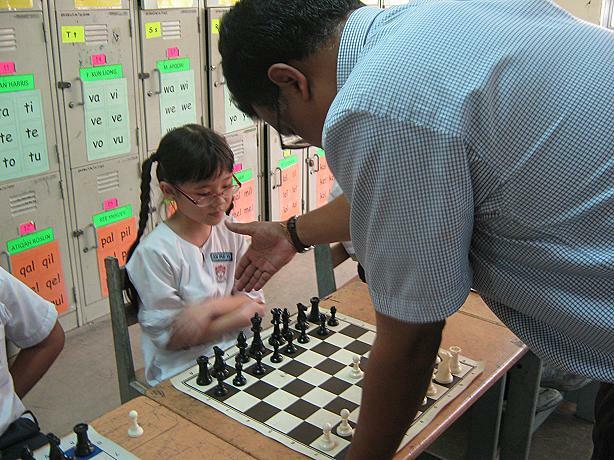 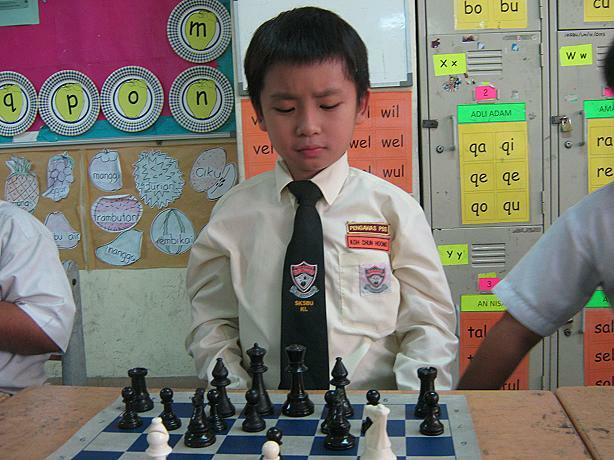 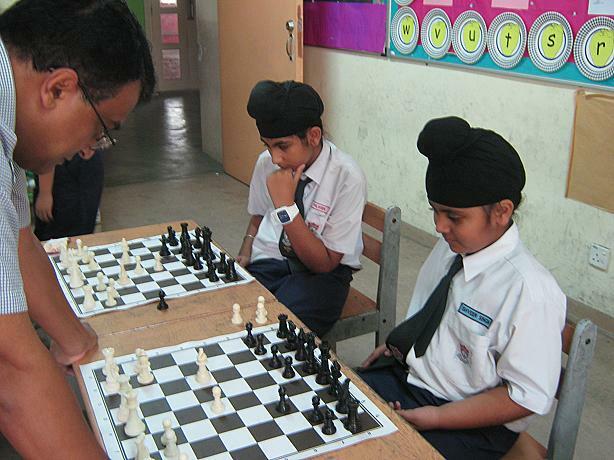 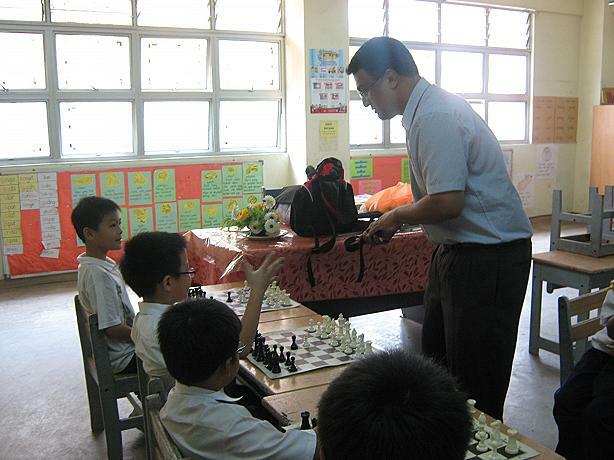 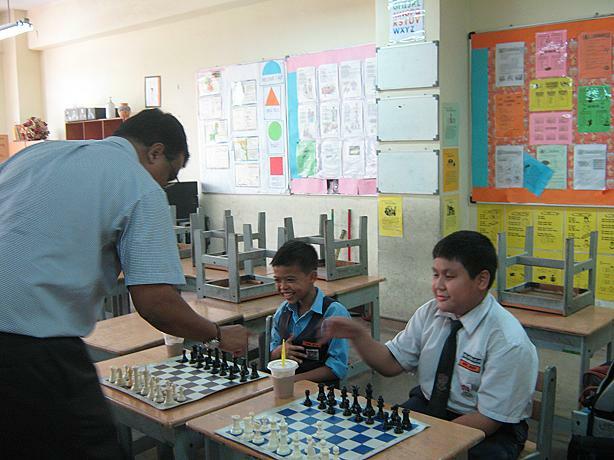 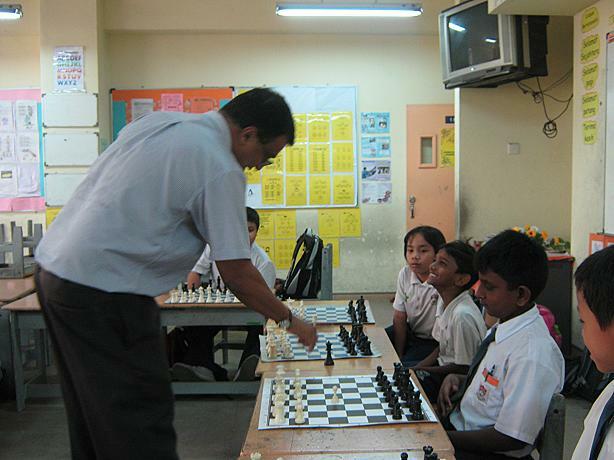 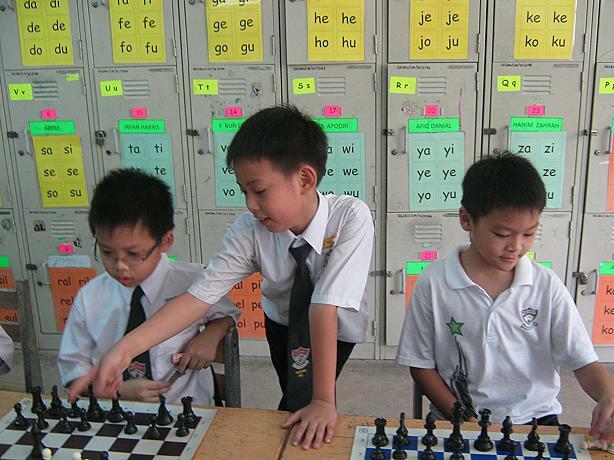 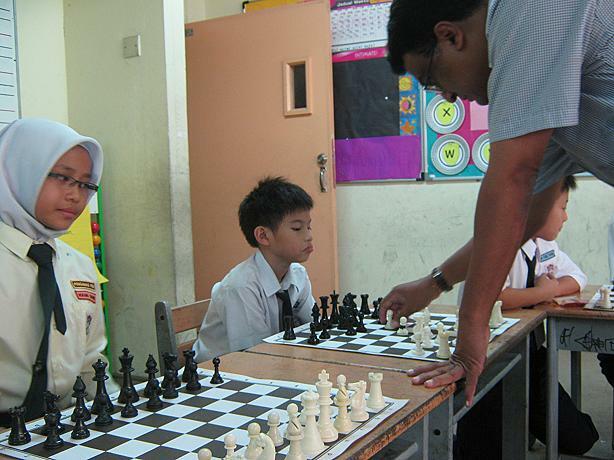 25 pupils from SK Seri Bintang Utara played in a Simultaneous Chess match on Friday the 7th of October 2011. 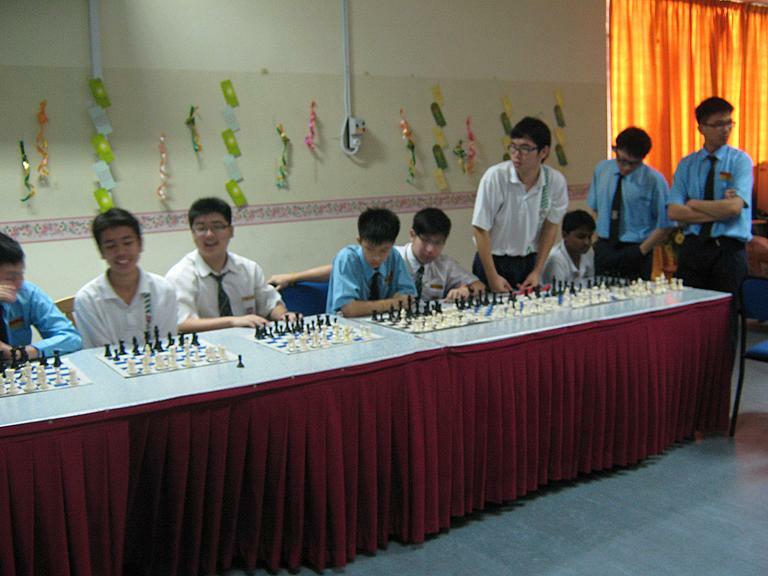 The match was played at the school and lasted for an hour. 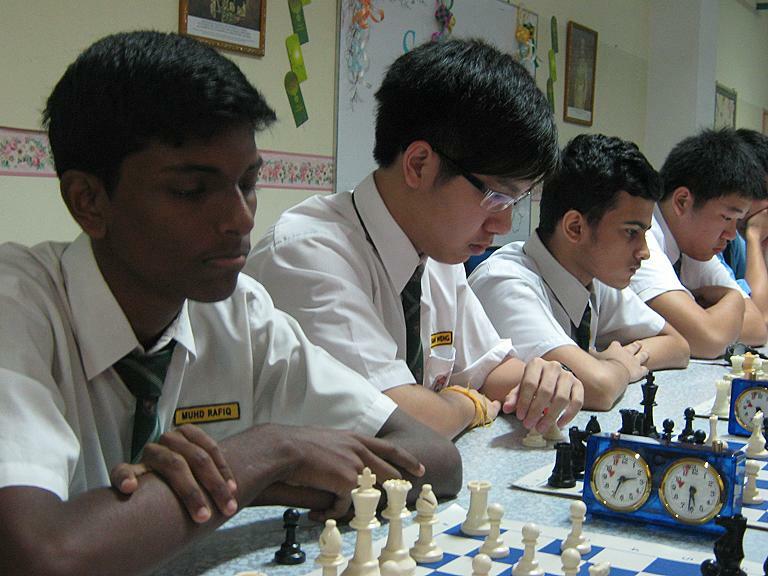 The final score was 24.5 to 0.5 in favour of CM Collin Madhavan. 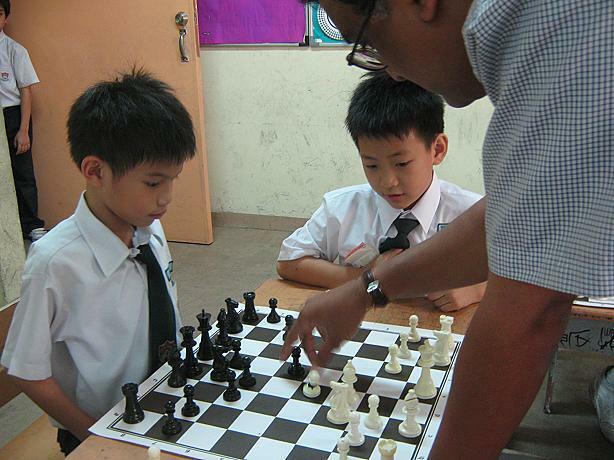 Enquiries: Please call/sms Collin at 016-2123578, or email us.